With great honor, Amizade announces that an exciting idea formed in the aftermath of the 2016 presidential election, will come to life within the next 100 days. Our pilot project, “Renovating Community Bridges in Western Pennsylvania” was recently awarded a 5,000 grant by The Sprout Fund‘s 100 Days of US campaign in Pittsburgh. Through this project, Amizade aims to connect urban and rural communities in order to cultivate cross-cultural experiences and dialogue among the participants. Stay tuned for upcoming details on this new journey that will surely be a unique experience. 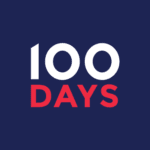 In the meantime, check out the proposal that helped to launch this innovative project, as a member of the 100 Days of Us campaign.